I was working, really. Filling up a trash can (clean trash can) with water so I can water new plants out in the far corner of the yard, with a watering can (my preferred method). I can’t hear their cries of thirst from here, and dragging 150 feet of hose is a bit more than I care to do. I am retired, after all, and don’t feel like doing much. 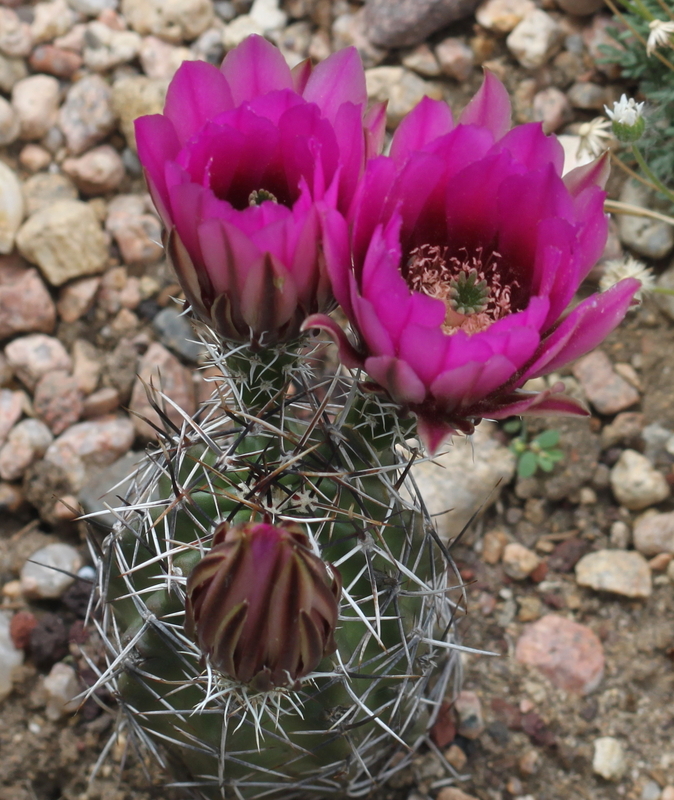 Saw a couple of cactus in bloom, though the sun isn’t out and the flowers aren’t fully open. I admit to an addiction to cacti, and I find it odd that the vast majority of Denverites dislike cacti, preferring the lush greenery that only massive irrigation can bring, and thinking that the presence of such plants in gardens makes Denver look too much like a desert. Well, guess what? This first one has the biggest flower I’ve ever seen on a hardy cactus. This is a seed-grown hybrid whose parents are unknown. Maybe Echinocereus reichenbachii and something else echinocereus. I think that’s Verbena wrightii in the background. It’s a verbena, anyway. Then Echinocereus fendleri, a plant with a reputation for huge flowers but dwarfed by the first one. I guess all of our native verbenas are called Glandularia bipinnatifida now–by taxonomists, not me. There are some really pretty patches of them growing in the wild; I saw them on Xander’s walk this morning. 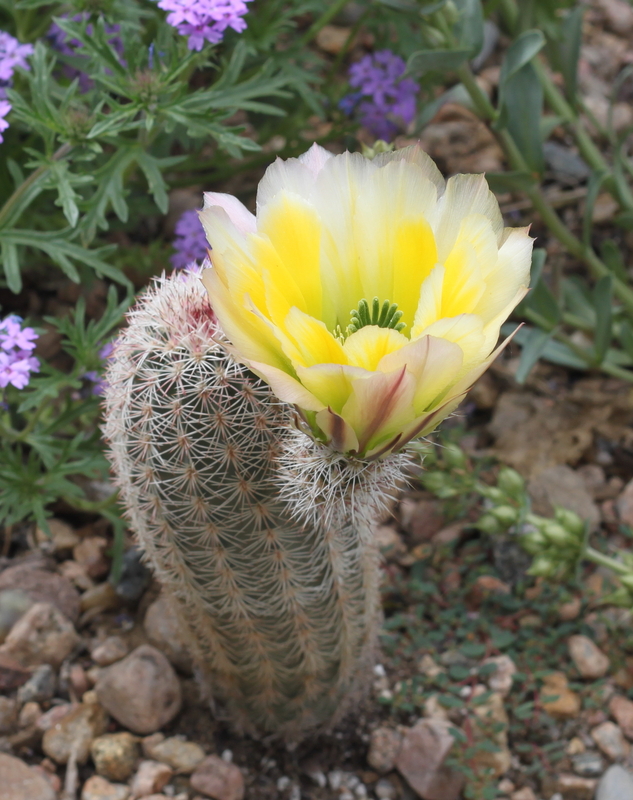 Oh, the supposed echinocereus hybrid is almost certainly pure Echinocereus dasyacanthus. Silly me. The cactus you gave us last year is about to flower (again). It has doubled in size already! Lots of new lobes. Check out the display in the Cactus Garden at Timberline. There, the cacti have unlimited room to grow. It’s pretty gorgeous right now.